In my last post, I shared John Gottman’s 4 Predictors of Divorce. Besides observing couples who fought and disagreed, Dr. Gottman also studied “happy” couples and came to a number of interesting conclusions. The one that I’d like to focus on is that happy couples don’t use any specific kind of communication techniques. I would say, of course they don’t. The reason is because happy couples are able to communicate in a mature manner, and use effective communication without resorting to any of the Divorce Predicting bad habits!! 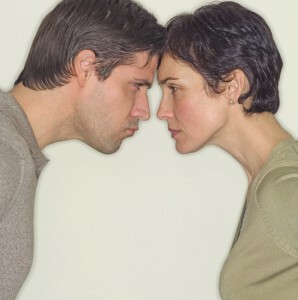 They create a emotionally safe environment to discuss their differences, they listen carefully and respectfully, they take turns, give each other positive feedback, seriously consider what their partner is saying to them, control their tempers and don’t react to each other in a knee-jerk fashion. That’s why they are HAPPY! On the other hand, couples who don’t seem able to “fight fair” need some help controlling their tempers and slowing down their communication so they can think before they speak. In my opinion, the Intentional Dialogue solves all the problems couples encounter in Gottman’s 4 Predictors research. In my next post, I will outline the Basic Steps to Dialogue and in future posts, I will specifically describe and discuss how each step solves each of Dr. Gottman’s 4 Predictors.